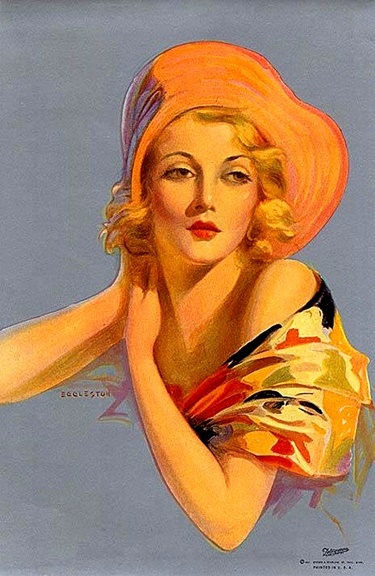 This entry was posted in Art, Collectibles, Entertainment, People and Places, Pin Ups, Poster Art, Uncategorized, Vintage and tagged 1932's, antique, art, color, Edward Eggleston, party, vintage. Love her eyes! And the warmth that radiates from her!